Reading through some of the articles that have appeared recently, following upon Mr Sampanthan’s Presidential address at the ITAK Convention, it appears to me that there is a big trust deficit. Interpretations are being put on words, and inferences drawn which are not justified by the plain meaning of, or the relevant context in which they have been used. For instance asking for devolution of powers within a ‘united’ country, is taken to indicate a desire to set up a separate state. The term self- determination is construed as secession. Let us look at other countries for example the United Kingdom (UK). The plain meaning of the term ‘self determination’ is the human right which ‘peoples’ have to administer themselves and look after their own affairs and to have control over their own resources. It may be noted that this right is one of the first rights set out in the International Covenant on Civil and Political Rights of 1966, to which Sri Lanka along with almost all countries of the world are parties to. The right figured largely in the fight against colonial powers and in the process of decolonization, but today self determination is not limited to colonial situations and also has an internal dimension, which is relevant to constitutional demands for devolution, autonomy and federal structures. In its external or internal dimension the underlying principle is that no ethnic or religious group or people, has a right to rule over another, whether in a colonial situation or where they are all citizens of one country. Sovereignty is another term which has been the subject of much misinterpretation. In the Constitution of Sri Lanka sovereignty lies in the people of the country and this includes the Tamil and Muslim people. When the speaker refers to the sovereignty of the Tamil people this could be interpreted as their right to share in the governance of the whole country i. e. to have a say in the administration of and control over the resources of those parts of the country in which they form a majority, as well as a share in the Government of the country at the centre. This right appertains to the Sinhalese and Muslim inhabitants too. The reference to a Tamil kingdom is not an indication of a ‘secessionist continuum’ but is merely to reaffirm the point that the Tamil speaking people have had a long history of administering their own regions which is what is now denied them. At the advent of the Portuguese in 1505, there were three kingdoms the kingdom of Kotte, the kingdom of Kandy, and the kingdom of Jaffna. However, these were not necessarily looked upon as Sinhalese and Tamil kingdoms in the sense of modern nation states. Kings ruled over regions and had subjects of all ethnic groups. They fought each other for territories, and they also inter-married and historians will know that there were frequent marriages between the kings of Jaffna, Kandy and Kotte. There were also instances when princes and kings from Kotte and Kandy have sought shelter in the kingdom of Jaffna as when Vidiya Bandara, the Regent of the Kotte Kingdom, fleeing from the Portuguese fled with the crown jewels of Kotte to the kingdom of Jaffna and similarly King Karaliyada Bandara and his daughter Kusumasana (later known as Queen Dona Catherina, who ruled the Kingdom of Kandy along with her husband King Vimaladarmasuriya I) fleeing from Rajasinghe of Sitawake, sought Sanctuary in the Jaffna Kingdom. We can see from the foregoing that the country was well integrated, although there were different self governing kingdoms. Queens were also brought over from the South Indian Kingdoms. In this way the last four kings of the Kandyan kingdom were Tamil kings belonging to the Nayakkar dynasty of Tamil Nadu, and it was during their reign that there was a revival of Buddhism in the Kingdom. That Tamil was an important language in the Court is borne out by the fact that in the Kandyan Convention between the Kandyan chiefs and the British, many prominent Sinhalese chiefs have signed in Tamil just as today many of us sign in English. The concept of the nation state as comprising a distinct ethnic group or nationality is a western European concept and was not prevalent in this part of the world at that time. However, it could be said then as now that the areas of ‘historical habitation’ of the Tamil speaking people was in the north and east, and the Sinhalese speaking people in the west , south and central regions. But, this does not connote exclusivity and even at this period, and even thereafter there were and are Tamil speaking communities along the western sea coast and Sinhalese speaking villages in the Vanni regions. During British rule the kingdoms were administratively united. It is interesting to note that prior to the granting of independence when the Soulbury Commissioners arrived, it was the Kandyan representatives who first proposed a Federal constitution for the country under which there would be three units for the Tamils Kandyan Sinhalese and the low country Sinhalese similar to the earlier division into three kingdoms, possibly because they felt that the Tamils and low country Sinhalese had greater educational and economic advantages at that point of time and would take control of the administration of the country. 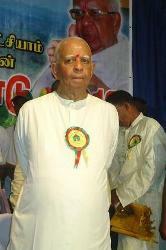 When the Federal Party was formed in 1949 it was against the backdrop of the disenfranchisement of the Indian origin Tamils in the upcountry regions and it was felt as in the case of the Kandyans that a federal system would afford better protection to the different ethnic groups and enable them to better exercise their sovereignty within a united country. It must be kept in mind that prior to 1956 the different communities in the island had a greater sense of cohesion and ‘Ceylon’ was regarded as the common motherland of all the communities. This feeling can be illustrated by the fact that before the passing of the Sinhala only Act in 1956, when Sinhalese was not an official language, private schools in Jaffna had started teaching Sinhalese of their own accord, because people wanted to know the language of their fellow countryman, and I was reminded of this fact recently by the former Principal of the Chundikuli Girls School a leading girls school in Jaffna. However, when the official Languages Act was passed and Sinhalese made the only official language the Tamil speaking people felt that they were no longer equal citizens of the country. While it was generally accepted that it was only fair and just that the Sinhalese people should not be governed in a foreign language, but in Sinhalese, it was equally felt that it was not fair or just for the Tamil speaking people to be governed in the Sinhalese language. Immediately the teaching of Sinhalese was discontinued in the schools even though this meant that recruitment to the public service would be affected.